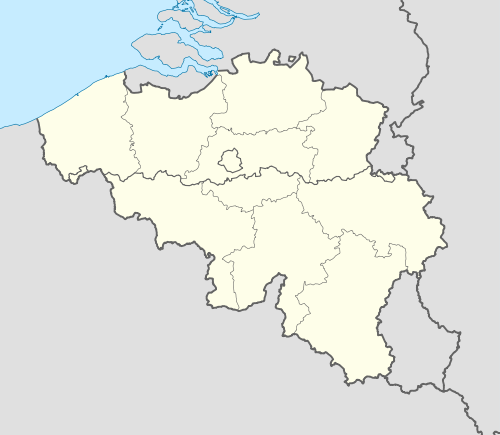 Eeklo (Dutch pronunciation: [ˈeːkloː]) is a Belgian municipality in the Flemish province of East Flanders. The municipality comprises only the city of Eeklo proper. The name Eeklo comes from the contraction of "eke" and "lo", two Old German words meaning oak and sparse woods. There are not many traces of early habitation in the Eeklo area. It is presumed that some oaks would have attracted the attention of travellers on the Roman road that ran along the local sandbar among the marshes. By 1240, a town had grown here and had already become important enough to warrant a city charter by Jeanne of Constantinople, Countess of Flanders. Over the years, the marshes were drained to give place to fortified farms, some remnants of which can still be seen today (Groot Goed). Like most other cities in the County of Flanders, Eeklo's economy was based on the cloth industry, and commercial relations were established with the more powerful neighbouring cities, Ghent and Bruges. During the second half of the 16th century, Eeklo was in the unfortunate position of being on the border between the Catholic South and the Protestant North, which resulted in so much destruction that the city was nearly abandoned by its inhabitants. At around that time appeared the legend of the "recooking", actually a rejuvenation recipe that involved drinking a youth elixir, cutting one's head off and baking it again. While the head was in the oven, a green cabbage took its place on the body, symbol of the empty head. The 18th and 19th century were more favourable and the textile industry took off again. Most of the city’s schools and neo-gothic buildings date from that period. Today, Eeklo is changing its vocation from an industrial city to one of services to the neighbouring communities. The City Hall and Belfry have been designated by UNESCO as a World Heritage Site in 1999. Eeklo also has interesting churches and chapels, such as the St Vincent Church (Sint-Vincentiuskerk) and the chapel of the clinic of the Holy Heart (Heilig Hartkliniek). A nearby provincial park, “Het Leen”, includes an arboretum and museum. A local park "Het heldenpark" offers concerts in the Summer, houses a playground for the little ones, bowling area's for the elder and soccer and baseball field. The Grote Prijs Stad Eeklo is a cyclo-cross race in Eeklo, Belgium. Every last week-end of July, the Meetjeslandse Balloonmeeting gathers hot-air balloon enthusiasts from all over Belgium. The summer is also the time for concerts in the park. The largest flea market in Flanders, Kaaikeskermis takes place in Eeklo during the first weekend of October. Tom Dice, (born 1989 in Eeklo), singer and songwriter, representer of Belgium in Eurovision Song Contest 2010. 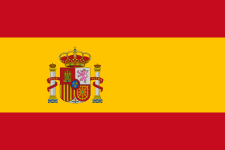 Official website - Information available in Dutch and limited information available in English, French, German and Spanish.